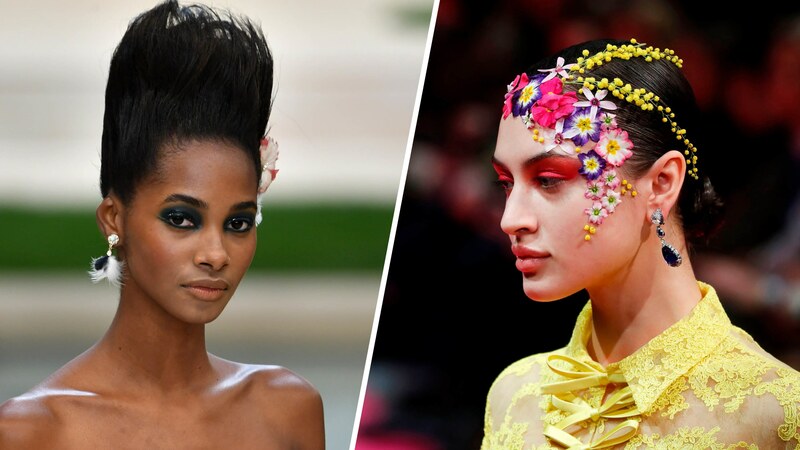 As I have mentioned voluminous hair is permanent on the runway for some time. Not only Chanel but also other popular fashion houses such as Guido Palau and Versace. The photos of voluminous hair have gone viral all over the internet. No wonder, fashion gurus and fashionistas have stolen the stile immediately and created their own version of the headdress. 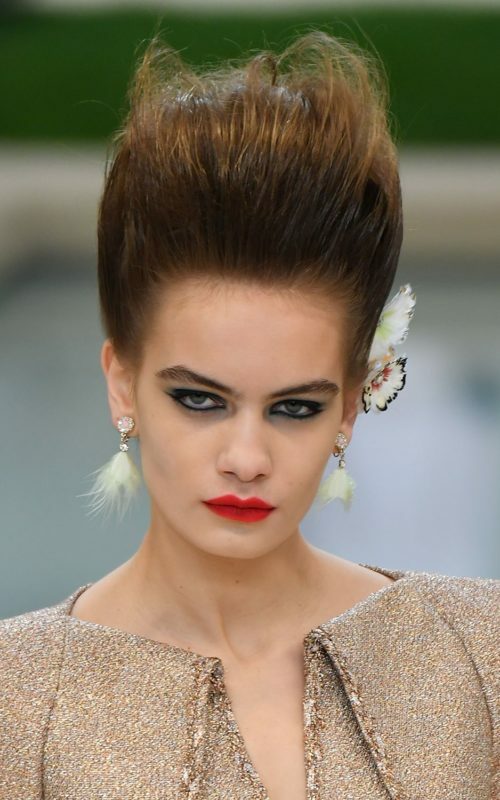 Below you can see another example of a bouffant hairstyle from the fashion show. Note that the headdress has been created with the help of a comb and various hair products. It is important to tease your locks and then fix with a fixing product. If you are invited to a part and want to stand out, then adopt this style. However, you can create it by yourself.